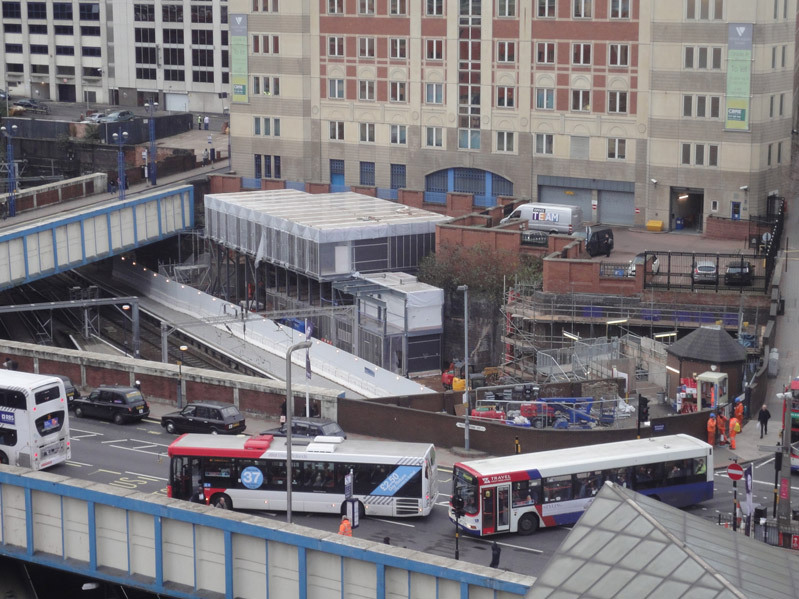 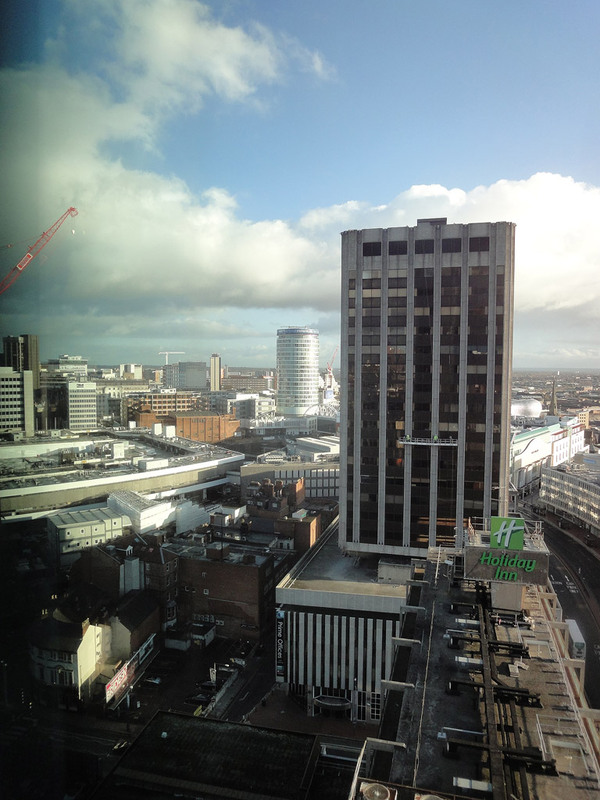 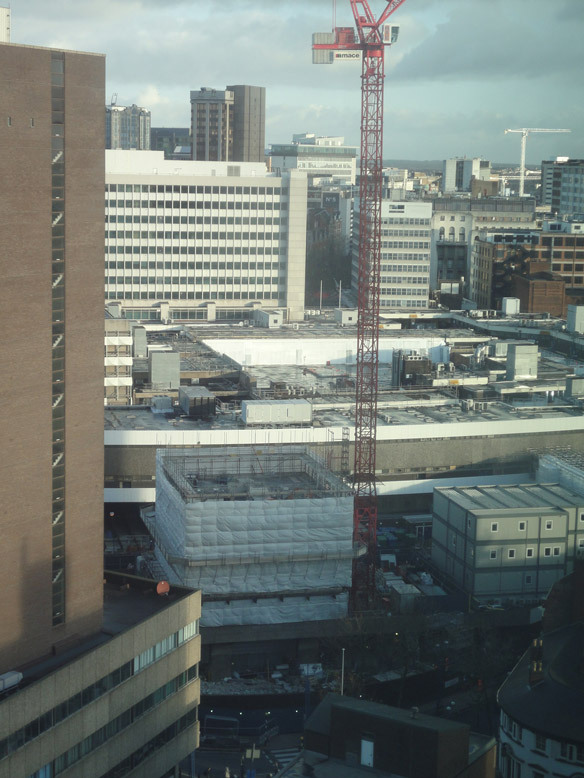 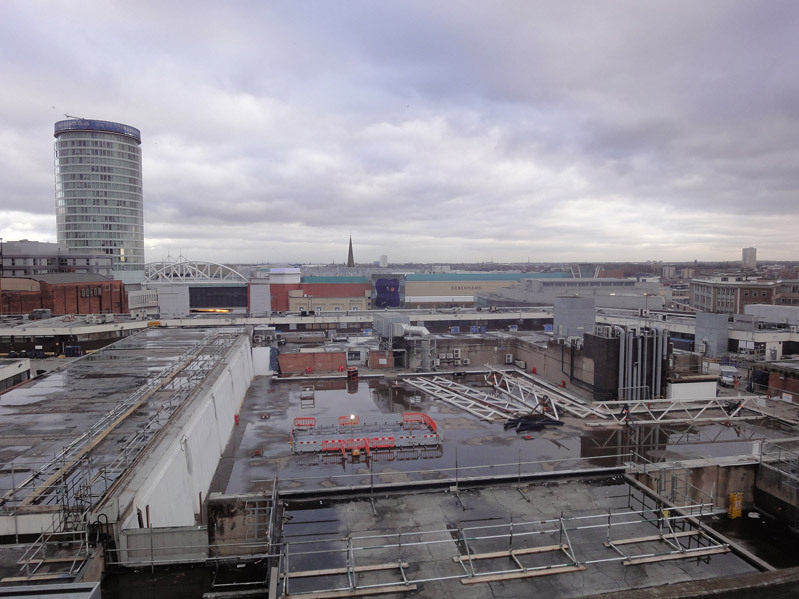 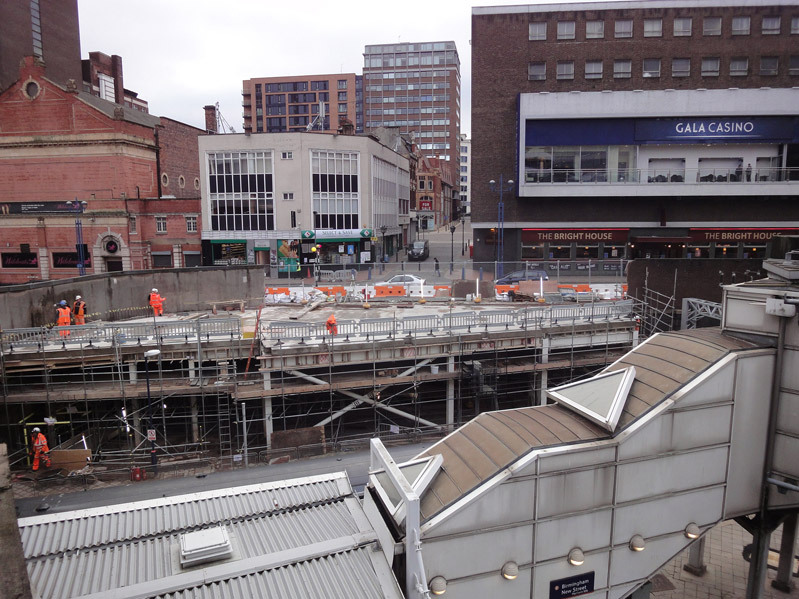 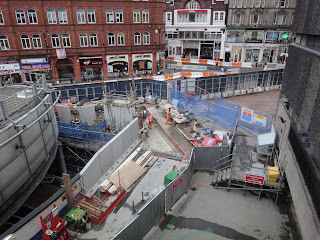 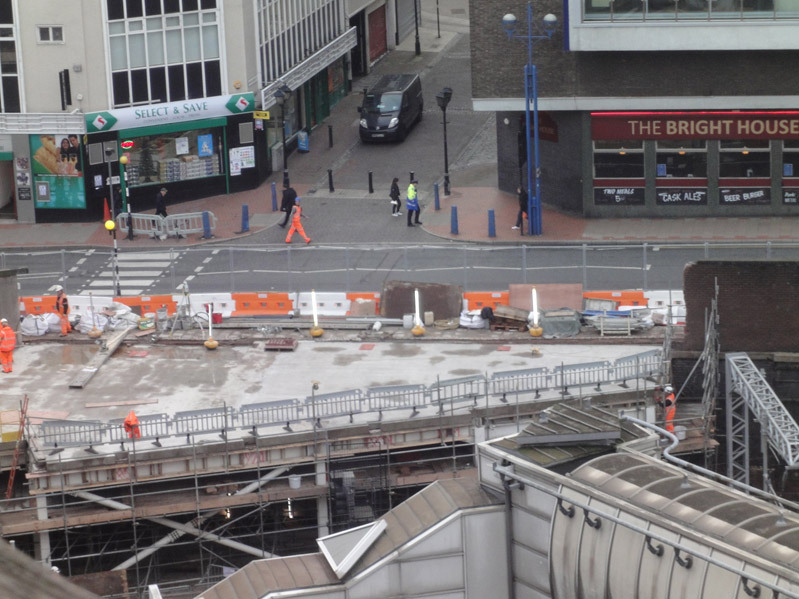 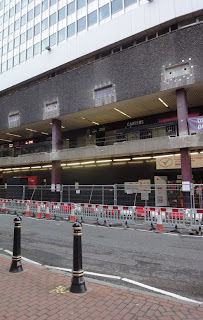 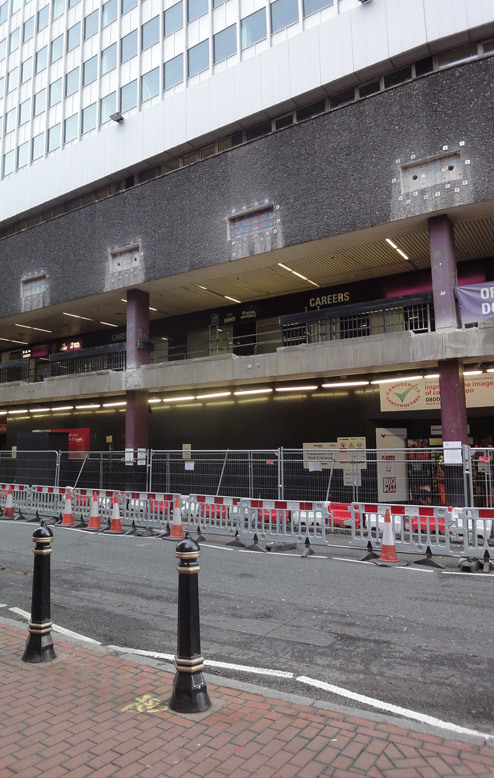 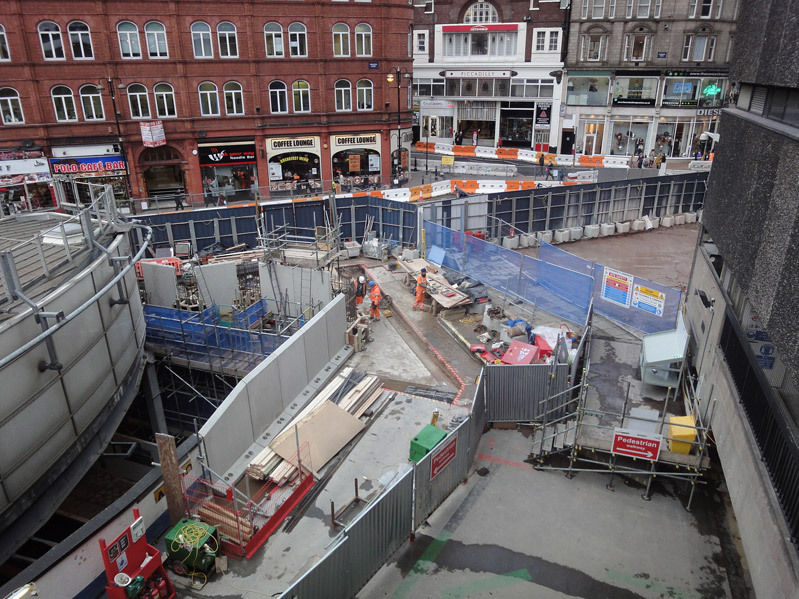 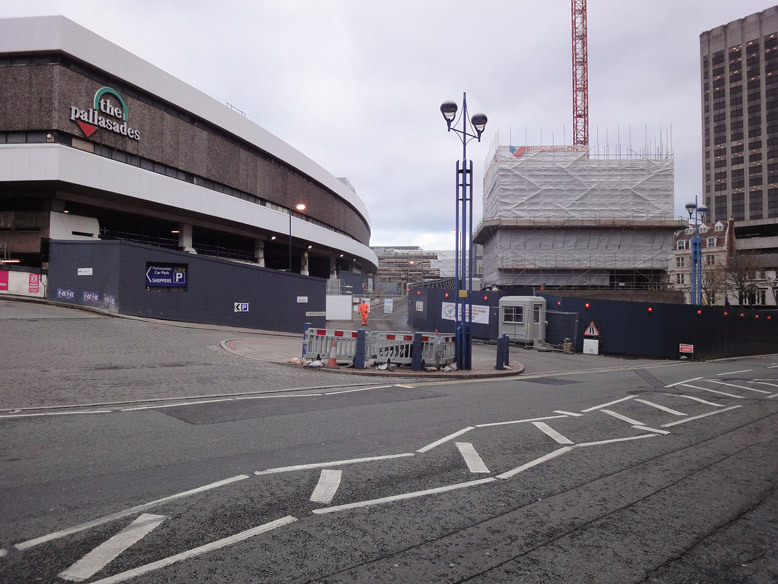 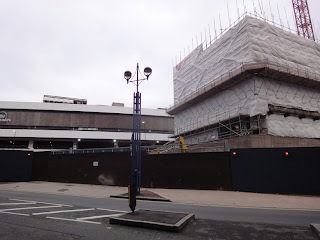 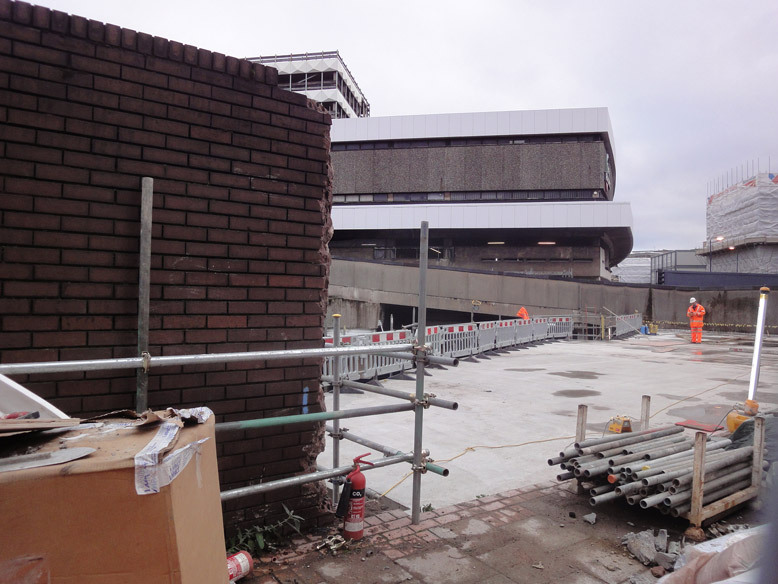 Here is an update on the construction of New Street from the 22nd and 27th November showing the various works taking place for the redevelopment. The scale of the redevelopment saw demolition contractors Coleman & Co win Contract of the Year award at the World Demolition Summit, beating projects in Germany, the USA and Brazil, for it's work on what will become the new concourse. 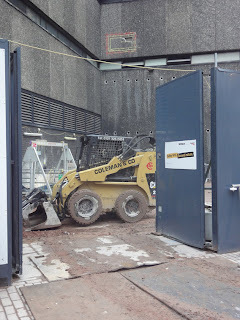 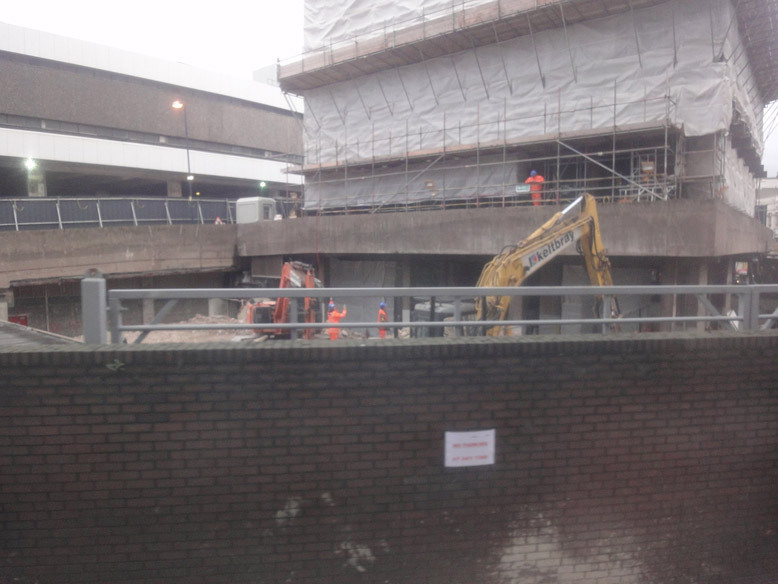 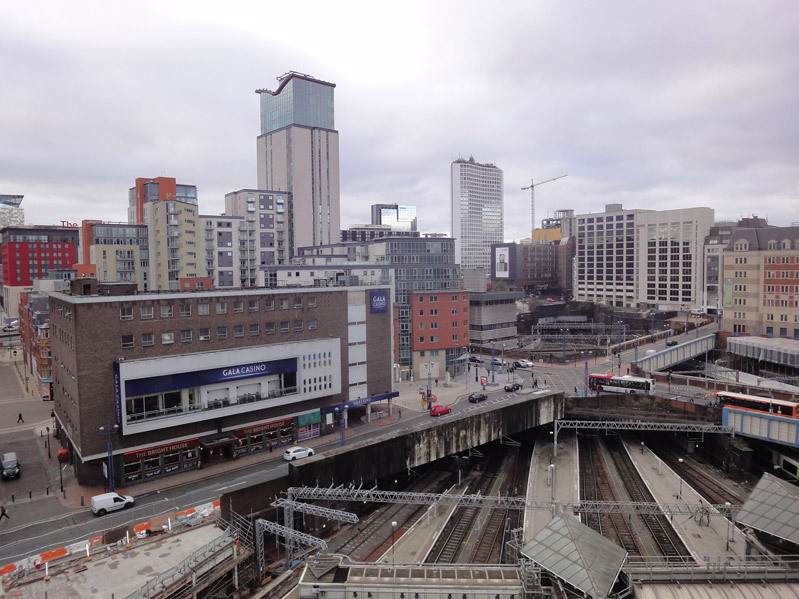 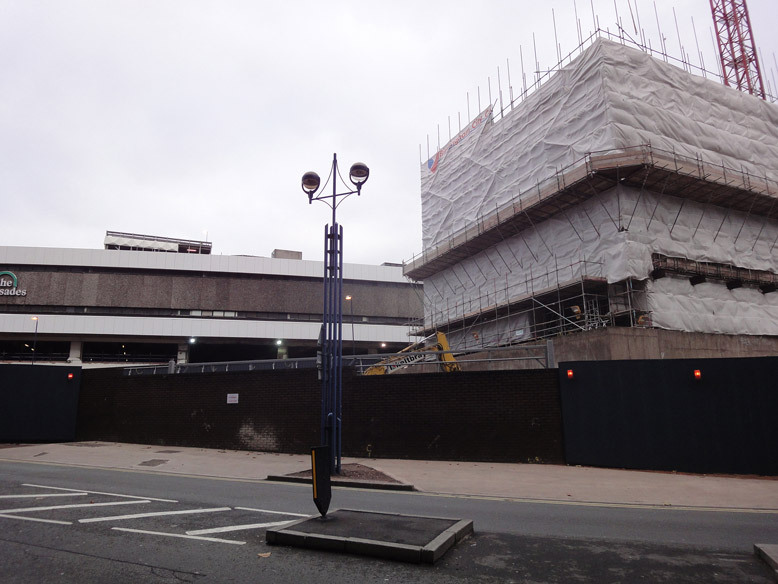 With a live railway centimetres beneath their feet, and the Pallasades shopping centre above, Coleman & Company were appointed by Network Rail’s delivery partner Mace to safely remove over 7,000 tonnes of concrete from an old car park. 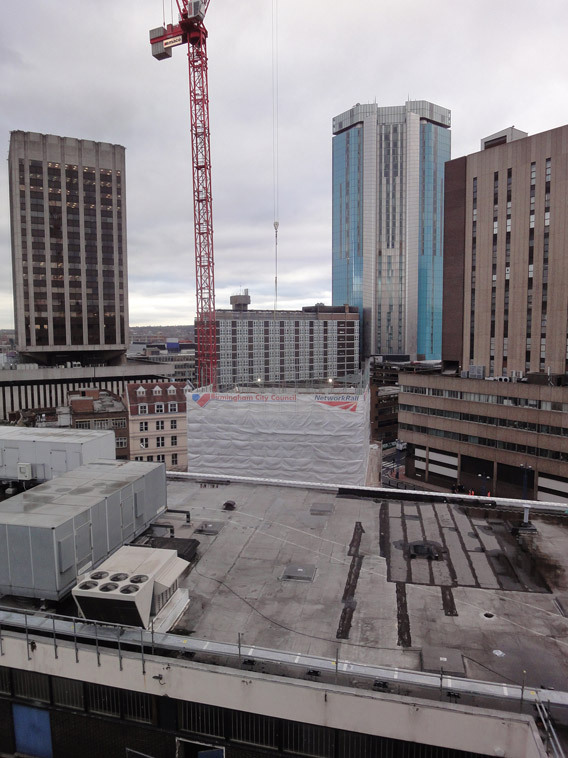 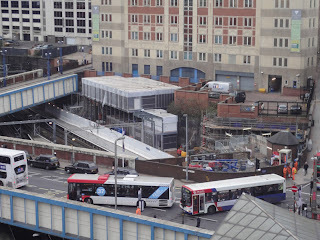 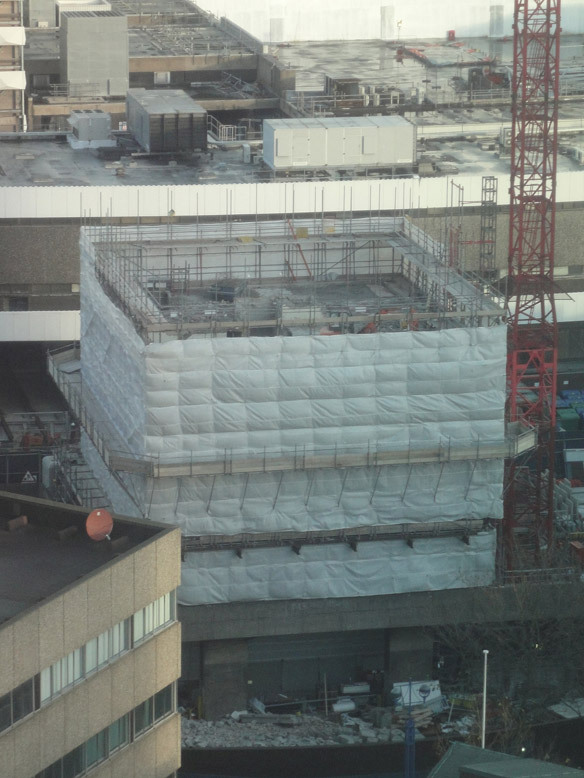 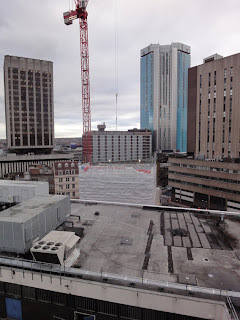 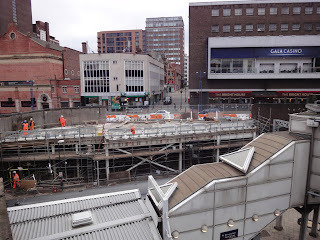 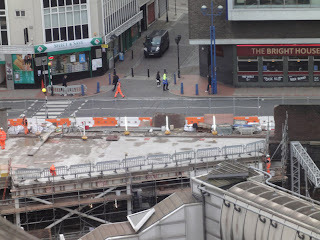 The following photos show progress around the station with the deconstruction of Stephenson Tower continuing, with expected completion early 2012, and preparation for the fixing of the steel facade on Stephenson Street. 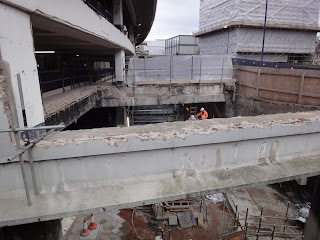 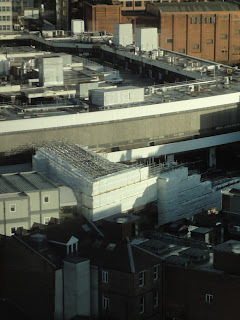 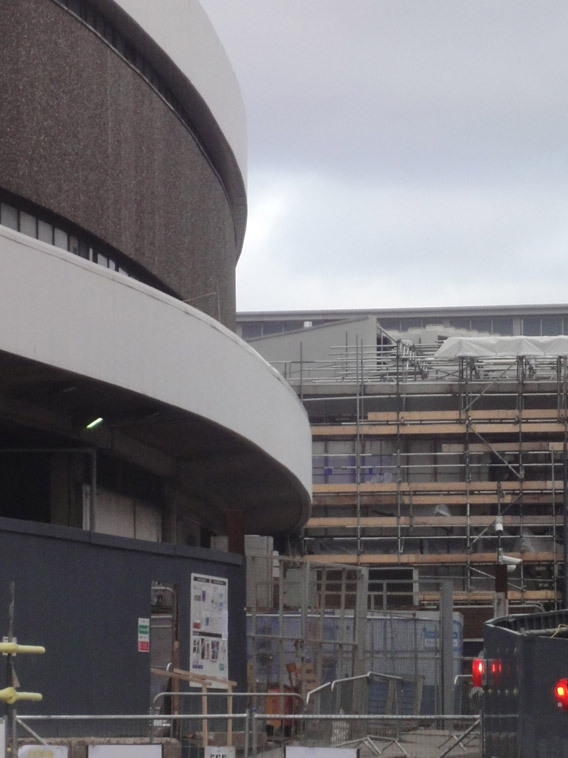 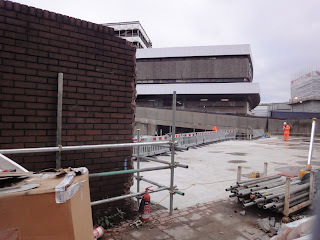 Work is also taking place on the Pallasades roof to clear a section to provide light to the new concourse while demolition is taking place on the stairs and link bridges into the Pallasades on Station Street. With all this progress in the above pictures it is easy to forget the work taking place behind the scenes on the new concourse and the preparation for the lifting of the new Navigation Street Bridge during the Christmas blockade which was postponed from last year due to the bad weather.